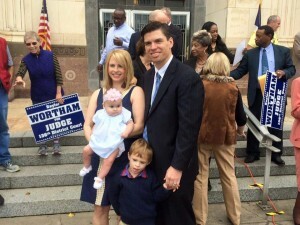 Over the course of his legal career, Baylor has been extremely active in his service to the State Bar. Baylor has continuously served on board of directors for the Texas Young Lawyer’s association since 2010 and also the Jefferson County Young Lawyer’s Association since 2008. 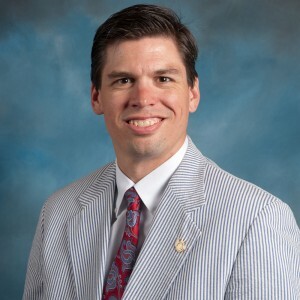 While on the TYLA board, Baylor co-chaired the TYLA project “Slavery out of the Shadows: A Spotlight on Human Trafficking” and is currently co-chairing the 2015 TYLA project “And Justice for All – Preventing Wrongful Convictions Through Education.” Baylor has also authored over half a dozen bar publications, including, “Criminal Law 101: An Overview of the Federal Criminal Process,” “Answering the Call: Responding to a Texas Criminal Subpoena,” “Employer’s Guide to Hiring an Employee with a Record,” “Hiring a Non-Citizen Household Staff,” “Understanding Employment Contracts in Texas,” and co-authored “Breathe Free – A Guide to Immigration.” In June 2015, he received the President’s Award of Merit from the Texas Young Lawyer’s Association. Currently, Baylor serves as the District 25 Representative to the American Bar Association Young Lawyer’s Division, as the ABA YLD lesion to the Texas Young Lawyer’s Association, and is the Vice President of the Jefferson County Young Lawyer’s Association. 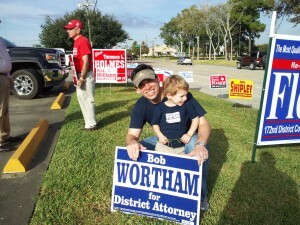 Baylor is the son of former United States Attorney, former Judge, and current Jefferson County District Attorney, Bob Wortham. Baylor has been married to his wife Lindsay Salter Wortham for over 10 years, and they have two children, Baylor II and Elizabeth.